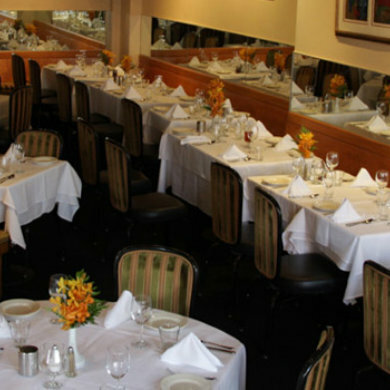 Maykadeh restaurant has been a staple in the Persian community since it opened in 1983. Come here and enjoy wonderful appetizers, kebabs, steaks and seafood. 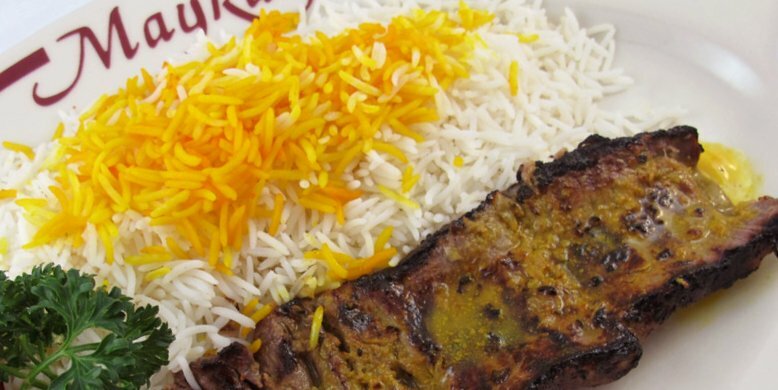 All of the meat and chicken dishes at Maykadeh are Halal. The restaurant is located in the heart of the North Beach, making it a great place to begin or end your day in the city. Parking is easy too, as Maykadeh has its own valet service for a mere $10. menu for delivery and pickup. Delivery is free to most neighborhoods in San Francisco. Orders must be a minimum of $34 plus tax and tip. There is no minimum for pickup. Please call the restaurant if you have any questions. You can order over the phone. Maykadeh restaurant caters parties and events and can customize the menu to meet your needs and budget. All of our dishes on the menu are available, plus we can provide specialty cuisine to suit the style of the event.